Penelitian - Researchers show that higher-ranking geladas provided more spontaneous triadic affiliation than lower-ranking subjects and that these contacts significantly reduced the likelihood of further aggression on the victim. Post-conflict affiliation is a mechanism favored by natural selection to manage conflicts in animal groups thus avoiding group disruption. Triadic affiliation towards the victim can reduce the likelihood of redirection and protect and provide comfort to the victim by reducing its post-conflict anxiety. 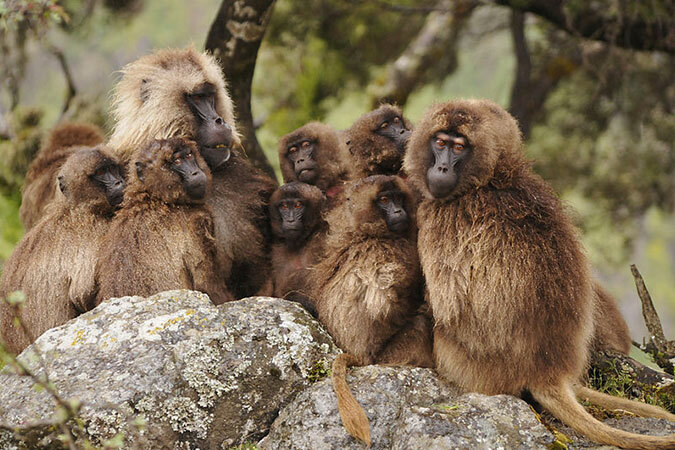 Elisabetta Palagi of the Università di Pisa and colleagues to test specific hypotheses on the potential functions of triadic affiliation in Theropithecus gelada, a primate species living in complex multi-level societies. Spontaneous triadic affiliation significantly reduced the victim’s anxiety, although it was not biased towards kin or friends. Triadic affiliation in geladas seems to be a strategy available to high-ranking subjects to reduce the social tension generated by a conflict. Although this interpretation is the most parsimonious one, it cannot be totally excluded that third parties could also be affected by the negative emotional state of the victim thus increasing a third party’s motivation to provide comfort. Therefore, the debate on the linkage between third-party affiliation and emotional contagion in monkeys remains to be resolved.